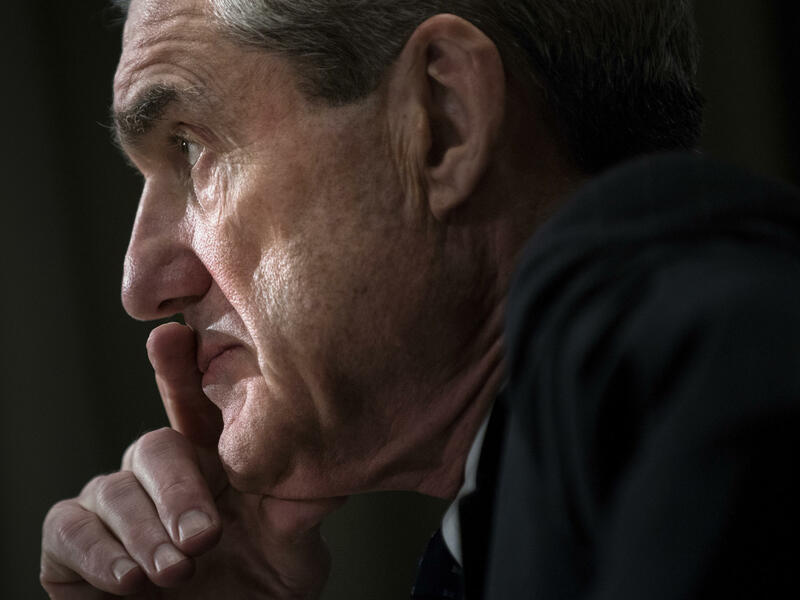 Special counsel Robert Mueller's office is negotiating with the White House about a prospective interview between investigators and President Trump. Rudy Giuliani, an attorney for President Donald Trump, says he has made the "last, best offer" under which Trump could give an interview to Justice Department special counsel Robert Mueller. The counteroffer submitted by President Trump to Justice Department special counsel Robert Mueller may be the "last, best chance" Mueller has to secure Trump's testimony, lawyer Rudy Giuliani told NPR on Wednesday. That doesn't mean it's the White House's final offer or negotiations are closed, Giuliani said — but "if they said yes, we'd do it." The back-and-forth has been going on for months. Trump has talked publicly about wanting to answer questions. But his lawyers would rather he not — and at the very least, they would like to limit the scope of what he is asked. "I don't think he'd do it over our disagreement, but I don't know," Giuliani said. The former New York City mayor did say he has the sense that the negotiations between his team and Mueller's are "kind of near the end" and that they could wind up before Sept. 1. Giuliani said he believes Mueller's office is sensitive about the precedent of 2016 in which then-FBI Director James Comey, whom Trump has since fired, was seen as improperly influencing the election because of the way the FBI conducted its big investigations. "I think he realizes that he'll run into a Comey-like criticism if he lets it stretch beyond September," Giuliani said of Mueller now. Giuliani acknowledged that if Mueller's office does not agree to a negotiated interview with Trump, Mueller has the option of asking a grand jury for a subpoena. That could take Washington into uncharted waters, especially if Trump's legal team were to ask a judge to throw out the subpoena. Such a dispute involving a sitting president has never been tested in court. Trump's lawyer said he likes the odds on his side if the situation gets to that point and they elect to fight it out. "Their chance of winning that battle isn't 100 percent," Giuliani said. "I'd rate it as less than 50 percent, particularly in the obstruction area since they already have his explanation to everything he'd ask." The president's attorneys argue that the Constitution protects Trump from having to respond to a subpoena and that the White House already has given investigators information responsive to their questions in other forms, including in other interviews or via documents. But because Trump wants to talk — under the right terms — Giuliani urged Mueller's office to accept the latest offer and constrain the specific questions or topics that might be covered. What Giuliani does not want is to put Trump into a situation in which he walks into a "perjury trap" — in which investigators try to get the president to say something they know isn't true and break the law that way. Mueller's office is charged with investigating the Russian attack on the 2016 presidential election and whether any Americans might have conspired to take part in it. Trump has denied strenuously that there was any collusion between members of his campaign and Russia's ongoing "active measures," and he also goes back and forth about whether he acknowledges they took place. Giuliani, however, suggested that Trump might be willing to entertain some collusion questions — 1) for example, "did the Russians hack?" and 2) "did any Americans, in particular Trump people, cooperate with them in that hacking?" "There's a certain amount of justice in [that question] because that's where it began," Giuliani said, referring to the Mueller investigation. There appears to be a separate, second track to Mueller's work: the potential question as to whether Trump might have broken the law by obstructing justice in trying to frustrate the work of investigators. Trump denies any wrongdoing on the obstruction front, too, and his attorneys have made broad claims about the president's powers under the Constitution to act in the way he has. Trump has the power to fire virtually anyone inside the executive branch, to end any investigation and, ultimately, to pardon himself, his lawyers say, so even if he could commit the crime of obstruction — which they argue that he cannot — he can ameliorate the consequences on his own. Giuliani appeared more hesitant to recommend that Trump entertain questions on the obstruction track of a potential interview. Trump has explained why he has fired Comey, for example, Giuliani said — the question is: Whom do you believe, Comey or him? "We see that as kind of a perjury trap." The ongoing back-and-forth about whether the president will sit for an interview could delay the completion of Mueller's work, although it isn't clear how much he has accomplished that still isn't public or how much he believes remains set out for him to investigate. President Trump's legal team has sent a letter to special counsel Robert Mueller with a counter offer for a possible presidential interview as part of the Russia investigation. This is the latest in long-running negotiations between the two sides. President Trump's lawyer, Rudy Giuliani, tells NPR that the latest offer may be Mueller's, quote, "last, best chance" to secure Trump's testimony. Giuliani gave that message to NPR's Ryan Lucas in an interview yesterday. And Ryan is with us this morning. Hey there, Ryan. RYAN LUCAS, BYLINE: Good morning, David. GREENE: All right. So what exactly did Giuliani tell you here? LUCAS: Well, he wouldn't get into specifics of what he and the president's other lawyers have proposed in their letter to the special counsel. We know that generally they want to narrow the scope of any potential interview. But Giuliani called this offer a serious one, meaning that if Mueller's folks agree to it, then they could sit down and get this done. 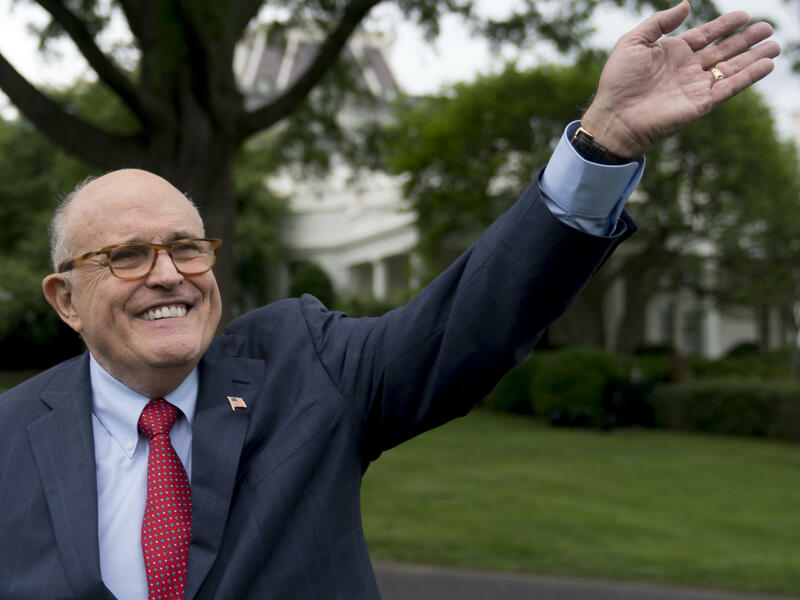 Giuliani also told me that this may be, you know, Mueller's last, best chance to get Trump's testimony - although not in the sense that this is a final offer, but more that there isn't a lot more room for them to negotiate as they see this. GREENE: Oh, I see. So maybe there's another offer, but it's not going to change much, is what Giuliani says. LUCAS: Right. Right. And these talks have been going on for a very long time, for months now. The stakes are very high. So it shouldn't be a surprise that this takes a lot of time. Now, if the two sides can't work out terms, there is the possibility that Mueller could subpoena the president to compel him to testify. Giuliani argued that Mueller would lose that battle. There are a lot of legal experts out there who disagree with that assessment. They say that in a subpoena fight, the law is on Mueller's side and that he would likely prevail. GREENE: Whoever prevails, I mean, if a subpoena fight could take a long time, like, months, would the president and his legal team want to wait that out and let this keep - thing keep lingering? LUCAS: Well, if they feel that they can win that fight, I think that they probably would. And they may also view a protracted legal battle as something that actually plays to their advantage. They could try to paint a legitimate subpoena and court process as another example of what they claim is a witch hunt out to get the president. GREENE: So I mean, if you're suggesting maybe it's not the end of the world if this battle over, you know, these negotiations keep going on, I mean, when do both sides suggest that there might be (laughter) some decision? Is there any timeline at all? LUCAS: Well, Giuliani is - well, and the president and the president's legal team are - they're certainly putting pressure on Mueller to try to force his hand somehow. Giuliani says that they do not want this issue to bleed into the midterm election campaign - possibly have a negative impact there. But the fact that this is in the open at all is part of this very public push from Giuliani and the president to try to pressure Mueller to bring the whole investigation to a close. And this discussion also plays into public perceptions. As for Mueller, he is known for running a very tight shop that doesn't leak. There's been no comment from them. But Mueller is known for being meticulous, for being dogged. People who know him say he's going to do what he thinks is necessary to conduct this investigation fully and fairly and get the answers that he needs. GREENE: Does the president want to testify? LUCAS: The president has said publicly that he does want to testify. Giuliani says that that still stands. Giuliani said that he and his other lawyers are less enthusiastic about this idea. They'd like to see the scope limited. Giuliani says he doesn't think Trump would agree to testify over his lawyers' objections. But ultimately, that decision lies with the president. GREENE: And briefly, do we know what Mueller wants to know from the president if this happens? LUCAS: There are a lot of - (laughter) lot of questions. GREENE: Well, probably a lot (laughter). LUCAS: (Laughter) Questions about contacts between members of the Trump campaign and Russia, possible coordination with Moscow's interference operation during the 2016 election. One notable example of such contacts is that meeting in Trump Tower in June 2016 with a Russian lawyer who was offering dirt on Hillary Clinton. And there are questions about Trump's response to the Russia investigation, chief among them his firing of former FBI director James Comey. These are questions that get more to the idea of possible obstruction of justice. GREENE: NPR's Ryan Lucas, who covers the Justice Department for us. Ryan, thanks.